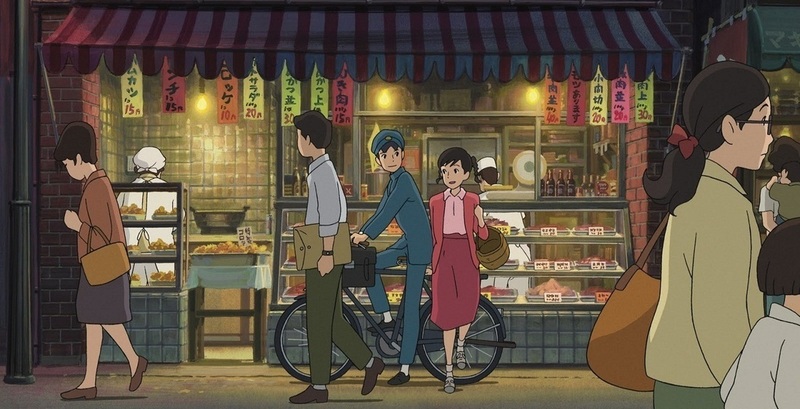 From Up on Poppy Hill is the latest film by Studio Ghibli, the animation team behind such award-winning films as Spirited Away (2001) and Howl's Moving Castle (2004). Taking place in the rural town of Yokohama in 1963, Umi (voiced by Sarah Bolger in the English dub) is a 16-year-old schoolgirl who lost her father in the Korean War and who now anticipates Japan's burgeoning future. The film is directed by Goro Miyazaki, the eldest son of Hayao Miyazaki, the better known writer and director in the family responsible for most of the Ghibli classics. 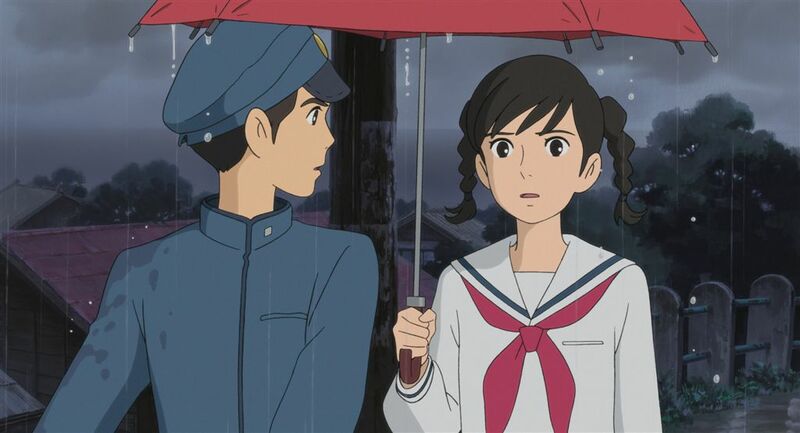 From Up on Poppy Hill is a story about the significance of the past and its relationship with the present and future, with Japan looking forward to the 1964 Olympics and haunted by a series of vicious wars in the recent past. A certain rickety old clubhouse comes to Umi's attention after she reads a poem written by Shun (Anton Yelchin), a mysterious boy and member of the clubhouse, that she believes to be about her. Her feelings for Shun develop as she starts to learn about and care for the old building, which is in danger of being demolished. The choice to create a real world drama with relatable themes seems a far cry from Ghibli's previous work, which is known to traditionally follow fantastical themes. But this is not the first undertaking of its kind. Only Yesterday (1991) and Whisper of the Heart (1995) are fine examples of similar undertakings, focusing on life, love and finding one's place in the world. The departure from the realm of magic will be disconcerting for many Studio Ghibli admirers looking for another Spirited Away (2001) or My Neighbour Totoro (1988). 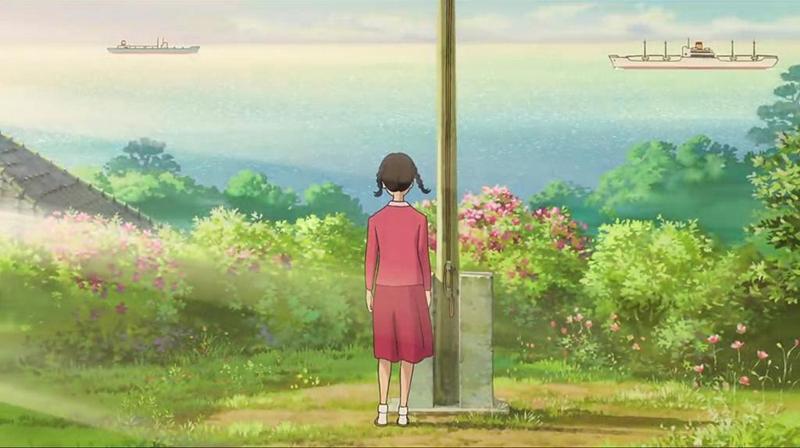 The visual presentation in From up on Poppy Hill is undeniably arresting. Scenes of boats lazily drifting the sea by the coastal town recall Ponyo (2009) and the atmosphere of the mysterious clubhouse harkens back to Spirited Away. But the narrative feels lacking. Problems such as preventing the demolition of the clubhouse and Umi and Shun's "will they, won't they" romance seem trivial. Rather than suspenseful and shocking, the unnecessarily long series of events that lead us through the second and third acts becomes convoluted and difficult to relate to. The film ends on a rather anticlimactic note without conquering any major adversary and the characters do not appear to have changed in any regard. From Up on Poppy Hill holds a strange status in the Studio Ghibli history. Goro Miyazaki's first film Tales of Earthsea (2006) is a far more explosive film filled with magic and dragons, themes that we might have come to expect from Ghibli. And yet according to the younger director in his blog, Miyazaki Senior sincerely disapproved of the project, even in early stages, believing his son was not ready to direct his own film. The film was the most poorly received of any in the Ghibli filmography. However Hayao Miyazaki's final words regarding Tales of Earthsea were that "It was made honestly, so it was good". It seems as if Goro Miyazaki was trying to create a film as different as possible from Tales of Earthsea in an effort to distance himself from his mistakes and create something more substantial and observational. 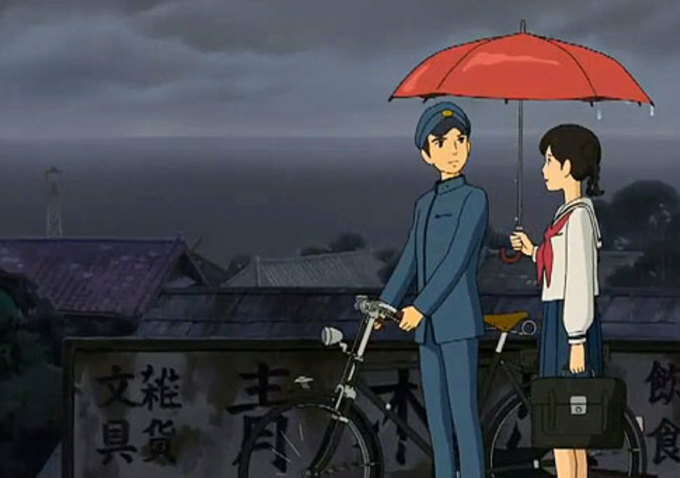 Indeed From Up on Poppy Hill is a thoughtful and often enjoyable film. Unfortunately it struggles to avoid the inevitable comparison to the significantly superior films created by the same studio.